Our Mission: To provide inspection-grade construction photography and video documentation and make it accessible through the simplest, interactive web-based platform available. 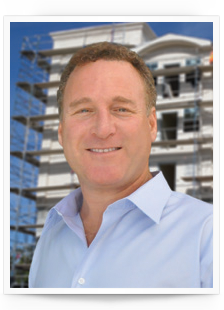 Prior to founding ConstructionPhotoDocs.Com in 2009, Andrew Weissman served as Vice President of Construction Services for AIG/SunAmerica Affordable Housing Partners, the largest affordable housing investor in the country at that time. His responsibilities there included front-end due-diligence, construction risk management, and construction oversight of well over $1 billion in low-income housing projects in six western states. Prior to working with AIG/SunAmerica, Andrew served as Vice President of Construction and Design for west coast offices of McCormack Baron Salazar. There he oversaw construction of a variety of projects including mixed-use, transit-oriented, Hope VI, and special needs projects throughout the region. Andrew continues to provide consulting services to select group of clients that include national equity investors, tax-credit syndicators, holding companies, as well as large and small, mission-oriented nonprofit developers. Andrew served on the Board of Directors for his local YMCA and continues to serve as Chairman of Sustainability for three YMCA's in the Los Angeles area. Jonathan Ramirez joined the CPD team in 2010 and quickly utilized his skills, passion, and energy to become a vital part of our organization. His passion for delivering a superior, user-friendly experience is a key reason for the firm's success and growth. Jonathan's skill set makes him uniquely qualified to manage the companies proprietary software, website, and client communications. Prior to joining CPD, Mr. Ramirez served with distinction as a Senior Airman in the United States Air Force where his responsibilities included support of Operations Enduring Freedom, Iraqi Freedom, and a Joint Task Force Horn of Africa. He was deployed in Qatar in 2005 and 2007 and received the Air Force Achievement Medal for his outstanding accomplishments and logistical expertise while serving with the 379th Expeditionary Logistics Readiness Squadron. Jonathan has a Bachelor of Science Degree in Project Management and an Associates Degree in Drafting and Design. He is proficient in a variety of software including AutoCAD Civil and Architectural, Autodesk Revit, Adobe Photoshop CS6, Adobe Premiere, Adobe After Effects.